The C61 (and its predecessors, the C31, C41, C51) are client devices that only work with the DIRECTV HR54 Genie Home Media Center DVR and its predecessors, the DIRECTV HR34, HR44 Genie and the non-DVR H44. These units, each called a "Genie Mini," brings most of the capabilities of the Genie (HR54/HR44/HR34/H44) to up to three other rooms in your house. And it's small. It can even be mounted behind your flat screen TV, so you'll never see it. You can attach up to five C31/C41/C51/C61/C41W/C61Ws to your Genie, but only three can be used at any one time. So we recommend just having a maximum of three Minis attached. If you need to supply more TVs, we recommend the H25, which can use its own tuner. For use with HR34/HR44/H44/HR54 and HS17 Genie systems only! Includes IR/RF remote (RC7X) and power supply. For use with HR34/HR44/H44/HR54 and HS17 Genie systems only! Requires DIRECTV Wireless Video Bridge. Infrared and RF remote in one. Works with ANY DirecTV-brand receiver produced to date in IR mode, including HD receivers and DirecTV DVRs. For use with HR54, C31, C41, C51, C61, C41W, C61W or H25 only! 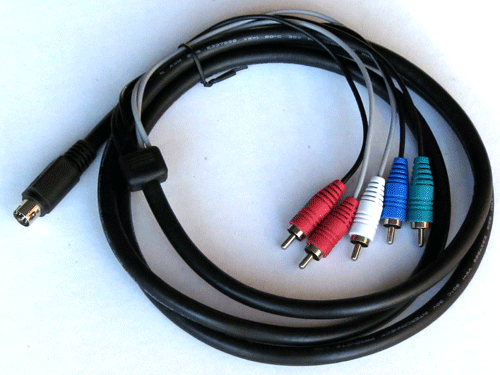 Allows for component video and stereo audio output via RCA jacks. 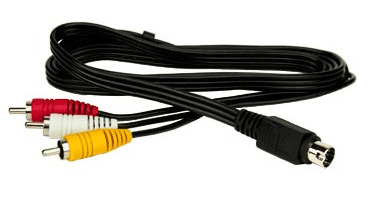 Allows for composite video and stereo audio output via RCA jacks. -Already have an HR34/ HR44/HR54 and want to expand it? See our DIRECTV Genie (HR34/HR44/HR54) Upgrade page. 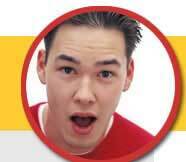 WeaKnees will not accept returns on any DIRECTV DVRs that have been activated with DIRECTV. No exceptions.